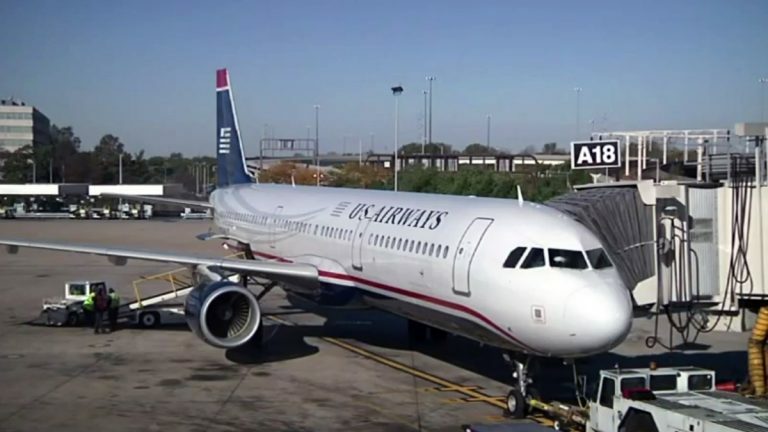 The final US Airways flight has landed in Philadelphia, completing the last leg of a roundtrip journey that included a stop in North Carolina. The Airbus A321 landed at Philadelphia International Airport at 5:54 a.m. Saturday after departing from San Francisco at 1:07 a.m. as a red-eye flight. The plane is Flight 1939, named for the airline’s founding year. The flight departed from Philadelphia at 10:36 a.m. Friday, making scheduled stops in Charlotte, North Carolina; Phoenix and San Francisco. All future flights will fly under the American Airlines banner, following the completion of a merger announced in 2013. US Airways began as All American Aviation, based in Pittsburgh. It later operated as Allegheny Airlines before becoming US Airways.